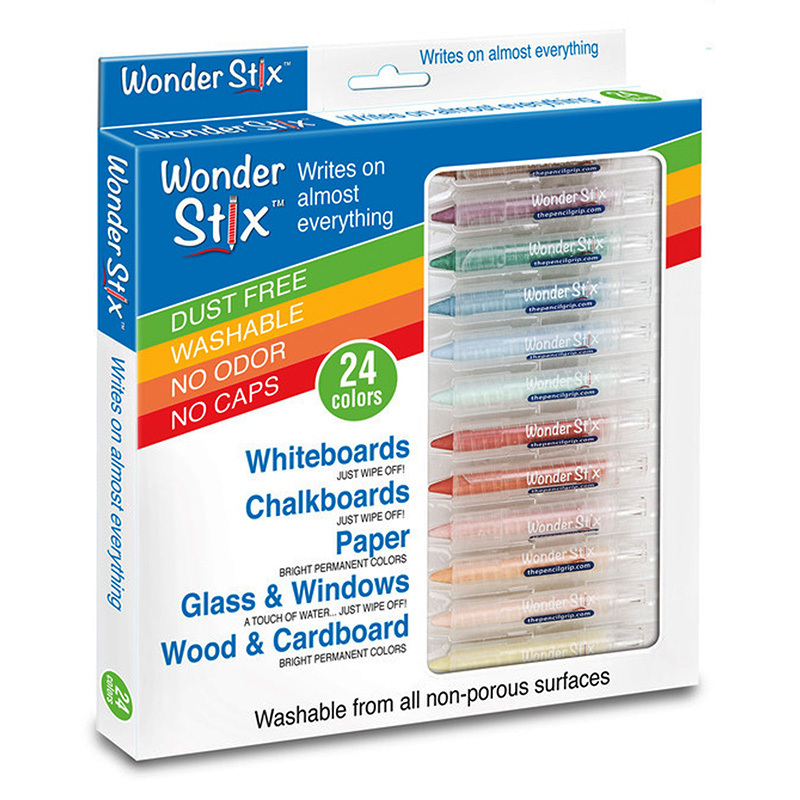 The Wonder Stix can just about write on any surface such as chalkboards, mirror, and wood and paper. It's easily washable from non-porous surfaces. Your imagination can run wild all over the house! Each box includes 24 bright colors. 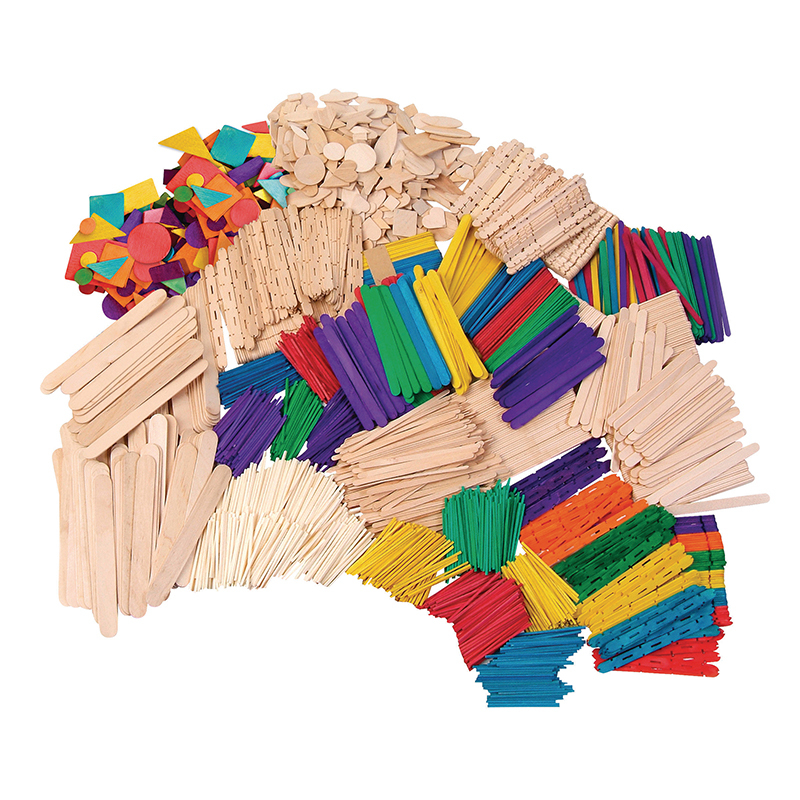 The Wonder Stix 24 Pack can be found in our Art & Craft Kits product category within the Arts & Crafts. 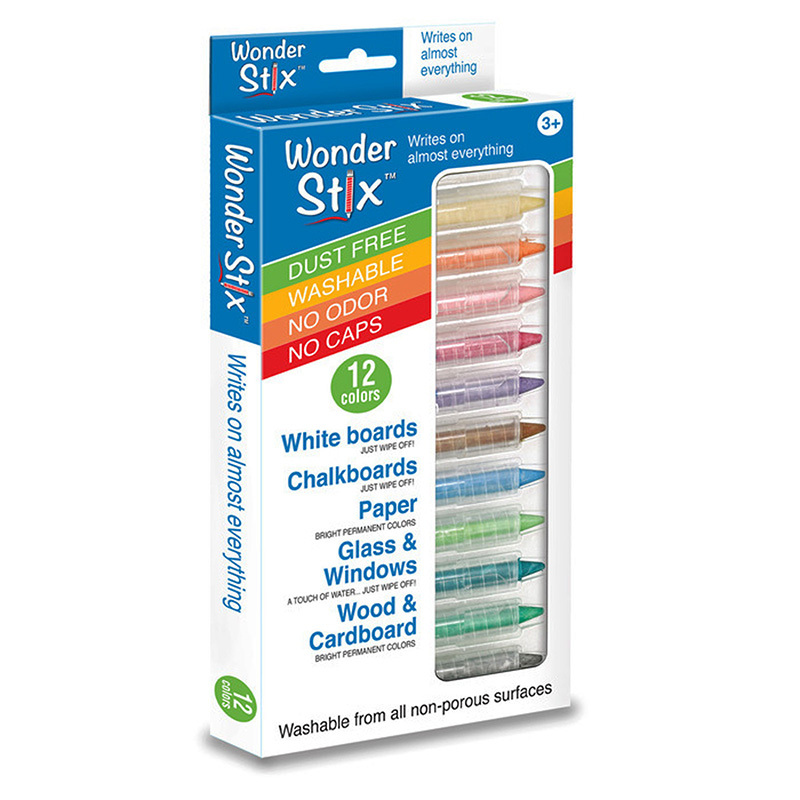 The Wonder Stix can just about write on any surface such as chalkboards, mirror, and wood and paper. It's easily washable from non-porous surfaces. Your imagination can run wild all over the house! Each box includes 12 bright colors. A terrific assortment of natural and multi-colored wood crafts includes regular, jumbo and mini sticks, shapes, spoons, turnings, Smart Sticks™ and building sticks. Over 2,100 pieces with idea sheet!